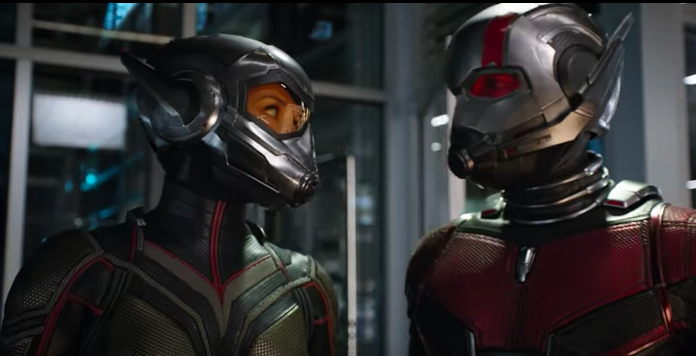 Fresh off the heels of Avengers: Infinity War, the second exciting trailer for Ant-Man and The Wasp has just launched and it may hint at a new member of the super team. Early on in the trailer, Ant-Man’s young daughter, Cassie Lang, tells her dear old dad, she wishes she could fight bad guys just like him. Well, we’ve got some good news for you, Cassie. You’re probably going to get your chance in the eagerly anticipated Avengers 4! For those of you who haven’t spent the last decade or two obsessively following everything that happens in the MCU and the Marvel Comics, let us explain. 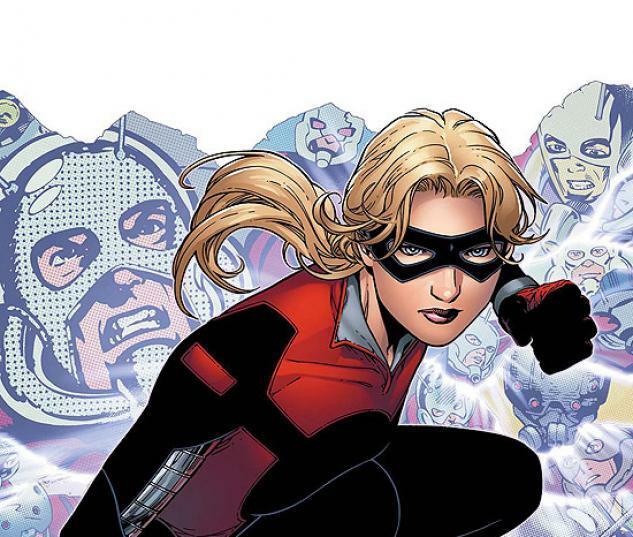 In the comics, Cassie inherits her father’s size-altering powers after being exposed to the miraculous Pym Particle in her younger years. She eventually joins the team known as the Young Avengers and goes on a number of adventures under the code name ‘Stature’. Now, we’re pretty confident Cassie’s line hints at Stature’s appearance in the Avengers 4. Why? Well because according to Screenrant, Emma Fuhrmann has been cast as a teenage Cassie which is around the time she discovers her powers. How Cassie ages quite so much we’re not sure, but if she’s got powers, you can guarantee she’s going to be drafted into the Avengers, especially after what happened at the end of Infinity War. Cover art for Young Avengers Presents #5. Art by Jim Cheung. Anyway, Ant-Man and The Wasp itself follows Scott Lang (Paul Rudd) who, after his run-in with the law during Civil War, is under house arrest and retired from hero work. 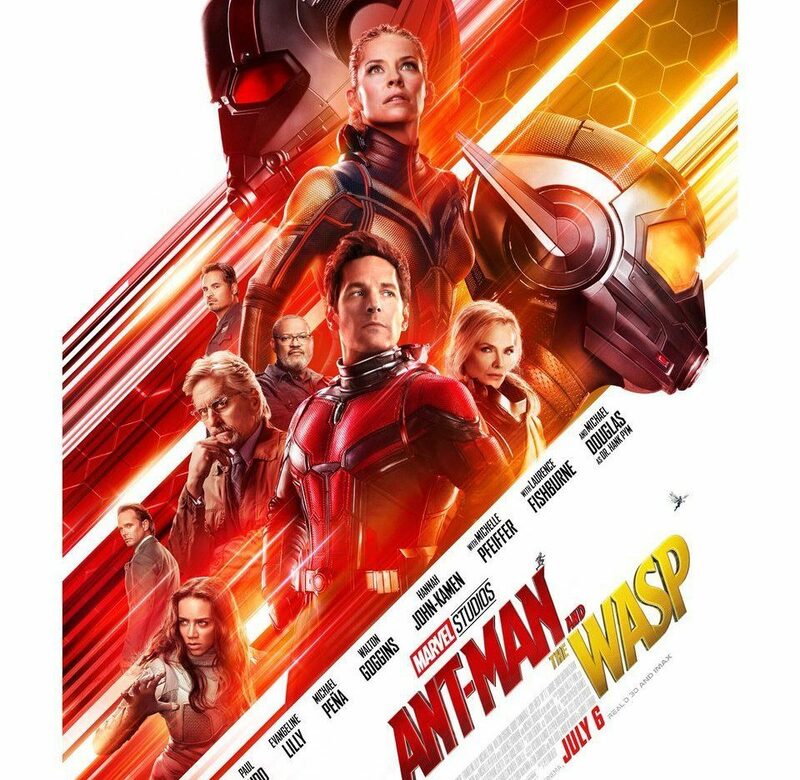 Adventure calls however when Hope van Dyne (Evangeline Lilly) and Dr Hank Pym (Michael Douglas) give him an urgent new mission, which finds Ant-Man fighting alongside The Wasp on a quest to find Hank’s lost wife, Janet van Dyne (Michelle Pfeiffer). Unfortunately for Scott, Hank, and Hope, the villainous cyber terrorist, known as The Ghost (Hannah John-Kamen), has got her own plans for our favourite gang of microscopic outlaws. Michael Peña also returns as the lovable motormouth Luis, and he’s joined by a whole host of new characters, most notably Laurence Fishburne’s Bill Foster. Foster, who’s traditionally the superhero known as Goliath, has been reimagined as an old friend of Hank Pym’s, who was once his assistant on the Goliath project but beyond this, little is known about the character. What we do know is Fishburne is super excited to be joining the MCU, despite his previous association with Marvel’s distinguished competition, admitting he’s always dreamed of joining the franchise. I’ve been watching Marvel movies for a long time and I’ve imagined and dreamt and fantasized that one day I’d be lucky enough to be in the Marvel Universe and that day has come. 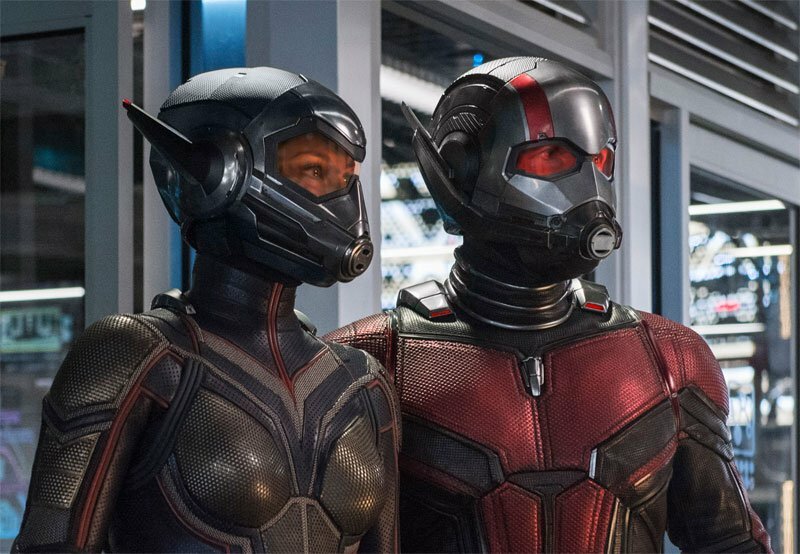 Fans meanwhile are hoping Ant-Man and The Wasp will offer some light relief after the super heavy Avengers: Infinity War not that the film’s dark tone is detracting from the box-office. Infinity War’s breaking just about every box-office record ever set, bringing in $257 million in the US to score the biggest opening weekend ever, and $640 million at the worldwide box-office giving it the biggest worldwide opening ever. With the film yet to open in Russia and China pundits are expecting the film will easily cross the highly coveted billion dollar mark, cementing the MCU as the highest grossing franchise of all time. For those in the UK who are aghast at the idea of Marvel fans in China and Russia missing out on Infinity War, we’ve got some bad news, we’re about to go through something very similar. You see, we’re getting Ant-Man and The Wasp a month later than our friends in America, thanks to a little competition called the World Cup interrupting the summer blockbuster season. Truly this is the darkest timeline. Anyway, we’re sure Ant-Man and The Wasp will maintain the high standards we’ve come to expect from the MCU, even if we’re getting it a little later than normal. Ant-Man and The Wasp lands in theatres here in the UK on August 3.